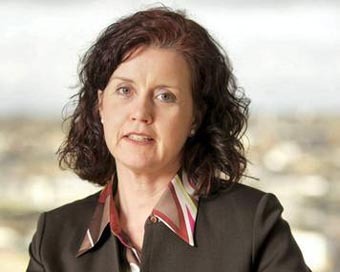 Bank of Ireland announced the appointment of Fiona Muldoon to its Board of Directors as Non-executive Director. Ms Muldoon is Group Finance Director of FBD Holdings plc, one of Ireland’s largest property and casualty insurers. Prior to this, she served from August 2011 to May 2014 with the Central Bank of Ireland including as Director, Credit Institutions & Insurance Supervision, where she had prudential supervisory responsibility for Central Bank of Ireland regulated Insurance Companies, Banks and Credit Unions. Ms Muldoon joined the Central Bank of Ireland from Canada Life where she held the position of Chief Financial Officer. Ms Muldoon also spent 17 years of her career with XL Group in Dublin, London and Bermuda, where she worked in senior financial and general management positions. At the time of leaving XL Group in 2010, she was Group Treasurer with responsibility for all corporate treasury and strategic activities including capital management, rating agency engagement, corporate development and corporate finance activities in addition to her funding, liquidity, foreign exchange and cash management responsibilities. Ms Muldoon is a fellow of Chartered Accountants Ireland having qualified as a Chartered Accountant with Touche Ross (now part of Deloitte).